Our award winning designers will ensure attention to every detail providing 2D creative CAD drawings to ensure we answer the clients brief. 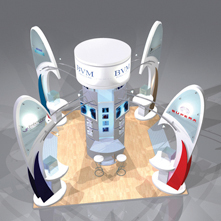 With 23 years experience our pre-build, on-site installation team, graphic specialists, electricians, lighting and set-builders are second to none. Installing exhibitions throughout the UK, Europe and the Far East. We organise the transport, logistics and installation. After each event we offer a storage service where we touch up and repaint to ensure the exhibition always looks its best at each event. Off the shelf system with updateable graphics. 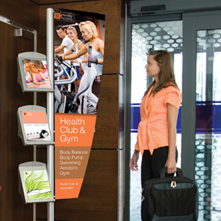 Optional extras include TV brackets and brochure holders. 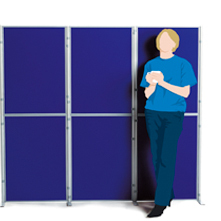 Excellent off the shelf system that can fit any size stand. 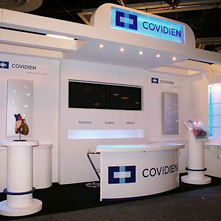 Ideal where various size stands are required as elements of the larger stand can be used. Fusion Versa. Attach flexible graphics with ease on the premium lightweight modular aluminium system. Single or double sided. From 1 to 3 panels. Fusion Rapid. 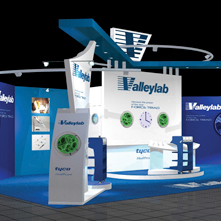 Contemporary modular display system blends simplicity and style. 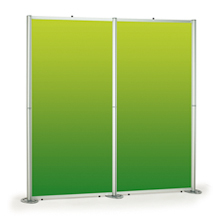 Suitable for rigid graphic panels. From 1 to 3 panels. 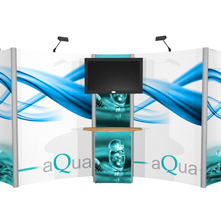 The literature stand is an ideal compliment to the Wave exhibition system. 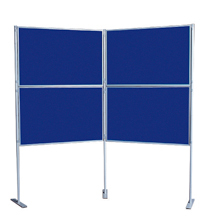 Panels simply clip together with poles to make a quick and easy double sided floorstanding display. 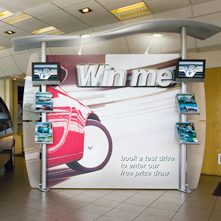 Available from 4 panel to 8 panel kit. 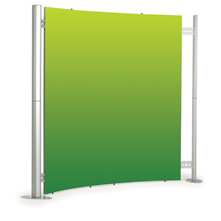 Individual panel size 900mm x 600mm covered with class 1 fire rated nylon loop material. 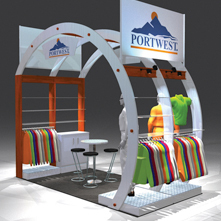 Available in 14 nylon fabric colours. Compact cases can be used to easily transport fusion Modular framework. 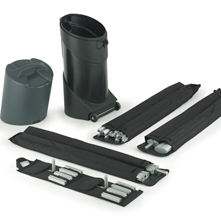 Available in 850mm or 1150mm height.